As the healthcare industry continues to evolve, payers, providers and consumers alike seek to understand and adapt to the dynamic environment. Magellan Health has established itself as a company adept at identifying future challenges and opportunities while developing smart solutions to address the fastest growing, most complex areas of healthcare. Over the past several years, Magellan has taken steps to reposition itself for growth through its two platforms - Magellan Rx Management and Magellan Healthcare. We have diversified our customer base, and our healthcare and pharmacy businesses now each represent approximately half of our revenue. In addition, we've aligned our products and services to address the current and future needs of our commercial and government customers. During 2016, we experienced revenue and segment profit growth of over 5 percent and over 9 percent, respectively. In addition, we expanded our capabilities with three new acquisitions, as we continued to execute on our strategy of managing complex populations and differentiated services in a way that enhances value for our customers and improves quality for our members. We greatly enhanced our government affairs and policy department over the past year, in advance of a new administration and Congress. The addition of these new leaders has positioned us well as we continue to navigate changes in both the state and federal governments. We continued to solidly position our pharmacy business as a value-based pharmacy benefit manager (PBM) – executing on core PBM activities while differentiating ourself with programs that use clinical criteria and analytics to help members live healthier. 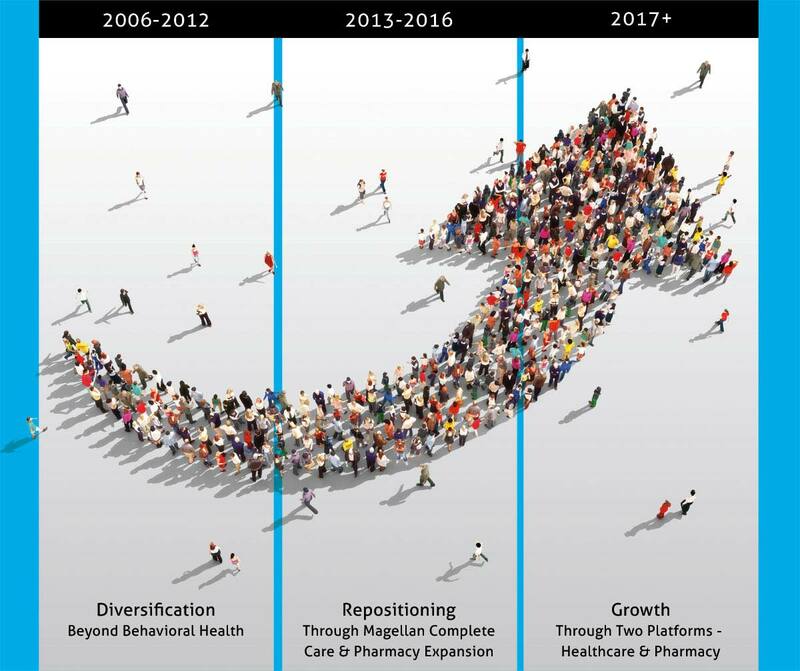 Growth in our pharmacy business has consistently exceeded expectations, and from 2013 through 2016, our pharmacy revenues have increased at an annual rate of nearly 50 percent, split evenly between organic and inorganic growth. 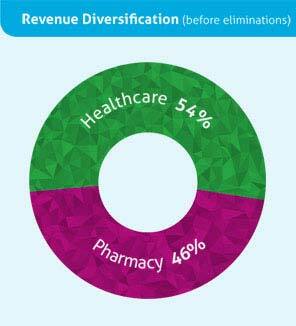 By 2018, it’s expected that 50 percent of total United States drug spend will be composed of specialty medications. Importantly, half of specialty drug spend is billed through the pharmacy benefit and half through the medical benefit, or "medical pharmacy." As a continued sign of our strength in medical pharmacy management, in 2016 we entered into a contract with a two million-life health plan which sought services to help better manage this complex area of pharmaceutical spend. This growth further solidified our market-leading position in this rapidly growing space, with over 14 million lives currently under management. In addition, Magellan Rx Management launched its own Medicare Part D prescription drug plan. Our entrance into this market was a logical one, particularly to demonstrate our capabilities in this area to potential PBM customers. Lastly, with our acquisition of Veridicus, a company whose value-based approach parallels our own and whose clinical programs will help drive targeted interventions for members, we expect to continue to strengthen our niche as the PBM competent in core activities and focused on enhanced value. A 69-year-old man was diagnosed with myasthenia gravis, a rare chronic autoimmune neuromuscular disease which impacts the strength of a person's muscles. People with myasthenia gravis can often experience muscle weakness, double vision and difficulties with speech and chewing. This patient was being treated unsuccessfully with prednisone, leading his doctor to request coverage for intravenous immunoglobulin (IVIG) as an alternative long-term therapy to help control the condition. IVIG use for this indication ran contrary to health plan policy, due to a lack of evidence-based literature supporting its use in this particular situation. Instead of simply denying the medication, Magellan Rx Management used this as an opportunity to provide education for the doctor, with the goal of getting better, more efficacy-based treatment to the patient. 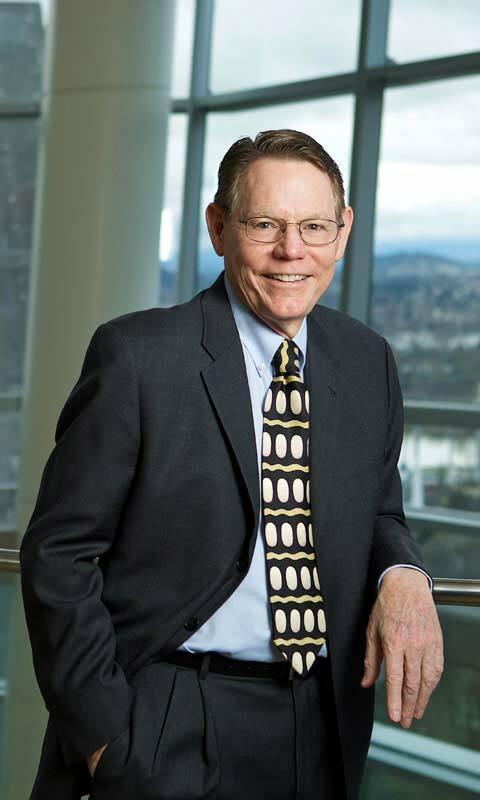 Magellan Rx Management tapped into its Key Opinion Leader (KOL) network, and a peer-to-peer consultation was arranged between the requesting doctor and Dr. Dennis Bourdette, a nationally renowned neurologist. Dr. Bourdette provided referenced and evidence-based recommendations and the patient's doctor determined that a combination of two oral medications – prednisone and azathioprine – would be the best option for this patient. The doctor was appreciative of the time he spent with Dr. Bourdette, a leader in his field, and he further asked to consult with the KOL on other similar cases moving forward. This example led to a successful outcome for each stakeholder; the patient, the doctor and the health plan. The patient received a drug that ultimately was a better fit for his particular diagnosis and desired outcome, and the savings amounted to approximately $12,000 per month. Within our healthcare business, Magellan continues to provide next-generation integrated care focused on incorporating all facets of an individual's life to help achieve positive outcomes. We do this by converging behavioral health, physical health and medication to provide personalized care. Through advanced analytics, agile technology and clinical excellence, we can drive behavior change and promote personalized care that results in lower costs, better outcomes and an exceptional experience. With several strong contract awards across all of our healthcare markets during 2016, as well as our robust pipeline of opportunities, we believe our strategy has positioned us for continued success. In the commercial market, the depth and breadth of our product portfolio, as well as our strong customer relationships afford us cross-selling opportunities in both behavioral health and other specialty areas, such as musculoskeletal, cardiac and radiology management. For example, in 2016, we were successful in cross-selling behavioral health services to two existing health plan clients, with whom we provide specialty solutions. In our government market, we expanded our core behavioral health carve-out offering in Pennsylvania, and our specialty plan focused on serving individuals with serious mental illness in Florida achieved profitability during its second full year of operation. Our acquisition of Armed Forces Services Corporation more than doubled the size of our federal and military program, and the acquisition of The Management Group expanded our experience and capabilities in managed long-term services and supports (MLTSS). Our focus on complex populations and conditions has continued to bear fruit, and we are proud to have been selected as a health plan for Virginia's Commonwealth Coordinated Care Plus program, which focuses on helping individuals with MLTSS needs live independently. Stacy Ellingen is a woman from Wisconsin who's never met an obstacle she couldn't overcome. After graduating from high school, Stacy left home to attend the University of Wisconsin-Whitewater. After graduating with a degree in journalism and advertising, she moved to Oshkosh. Now in her thirties, Stacy leads a busy professional life as a small business owner and an independent contractor with InControl Wisconsin, an organization that plays a key role in advancing self-directed supports in the state. 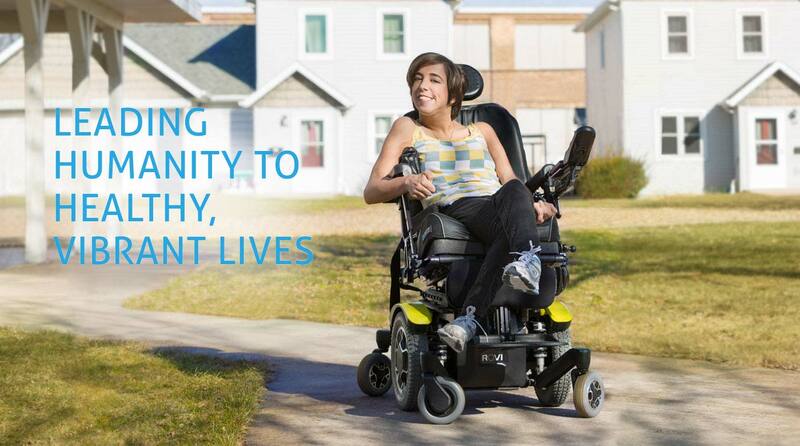 She’s become more involved in disability advocacy efforts and the community. Stacy's story is a successful one — living independently for more than five years, finding a job about which she is passionate and becoming involved in her community. But now consider this success as part of Stacy's larger story – she grew up with cerebral palsy, resulting in complex physical support needs. However, Stacy grew up believing that she could do everything others do. Working with her self-directed support consultant, Kathi Miller, an employee of TMG by Magellan Health, Stacy proved she could do everything others do. 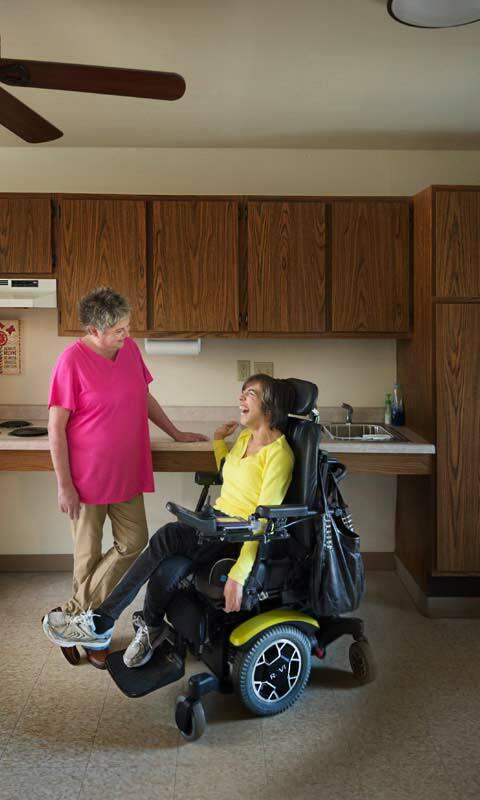 "Kathi has helped me reach my goals in many, many ways," Stacy said. Kathi and Stacy joined forces to identify community home care providers to support Stacy in meeting her daily needs at home and at work. They partnered to identify ways that Stacy could make responsible budget decisions in purchasing services to meet her goals. When developing her small business, Kathi supported Stacy in connecting with the local business community to create professional peer connections that enhanced her business development strategies. "Most of all though, Kathi encouraged me to keep moving forward when things got tough! She has been amazing!" said Stacy. Learn more about Magellan Health from its Chairman and CEO, Barry M. Smith; Magellan Healthcare CEO, Sam K. Srivastava; and Magellan Rx Management CEO, Mostafa Kamal. Underscoring all that we do is our focus on leading humanity to healthy, vibrant lives, an audacious pursuit that guides our growth and inspires the action of our 9,700 associates. Going forward, we will continue to provide innovative solutions for the fastest growing, most complex areas of healthcare, while connecting members to their communities and empowering them to live healthier lives. 1 The foregoing financial information should be read in conjunction with the financial statements and related notes as presented in Magellan’s Annual Report on Form 10-K for the year ended December 31, 2016. 2 In the above financial table and elsewhere in the Annual Report, we refer to segment profit, adjusted net income and adjusted earnings per common share, which are non-GAAP measures. Segment profit is equal to net revenues less the sum of cost of care, cost of goods sold, direct service costs and other operating expenses, and includes income from unconsolidated subsidiaries, but excludes segment profit or loss from non-controlling interests held by other parties, stock compensation expense, special charges or benefits, as well as fair value of contingent consideration recorded in relation to acquisitions. Adjusted net income and adjusted earnings per common share reflect certain adjustments made for acquisitions completed after January 1, 2013 to exclude non-cash stock compensation expense resulting from restricted stock purchases by sellers, changes in the fair value of contingent consideration, amortization of identified acquisition intangibles, as well as impairment of identified acquisition intangibles. For a reconciliation of these non-GAAP measures to the corresponding GAAP measures, please refer to Magellan’s Annual Report on Form 10-K for the year ended December 31, 2016. Magellan's annual shareholder meeting will be held on May 24, 2017 at Magellan's headquarters, 4800 North Scottsdale Road, Scottsdale, Arizona 85251. The meeting will begin at 7:30 a.m., local time. Certain of the statements made in this report constitute forward-looking statements comtemplated under the Private Securities Litigation Reform Act of 1995 and are qualified in their entirety by the complete discussion of risks set forth in the section entitled "Risk Factors" in Magellan's Annual Report on Form 10-K for the year ended December 31, 2016. © 1999 - 2019 Magellan Health, Inc. All Rights Reserved.